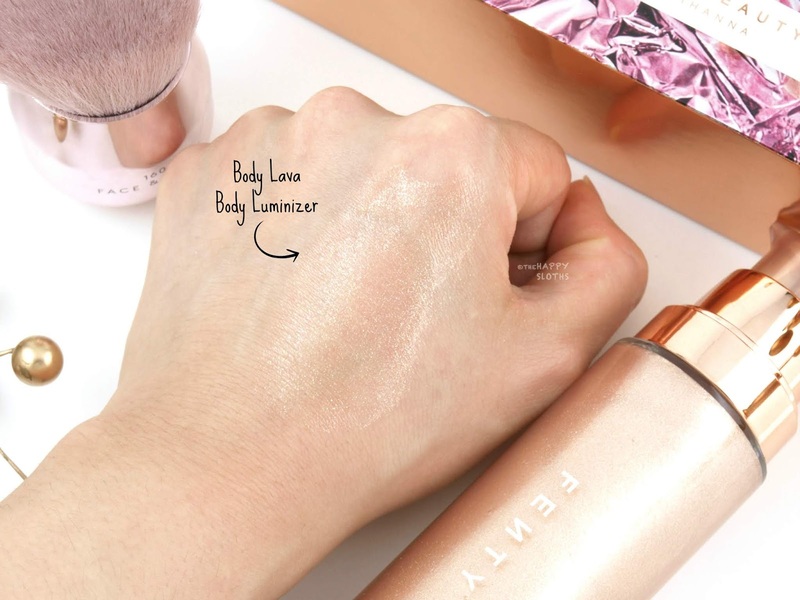 Fenty Beauty | Body Lava Body Luminizer in "Who Needs Clothes?!" 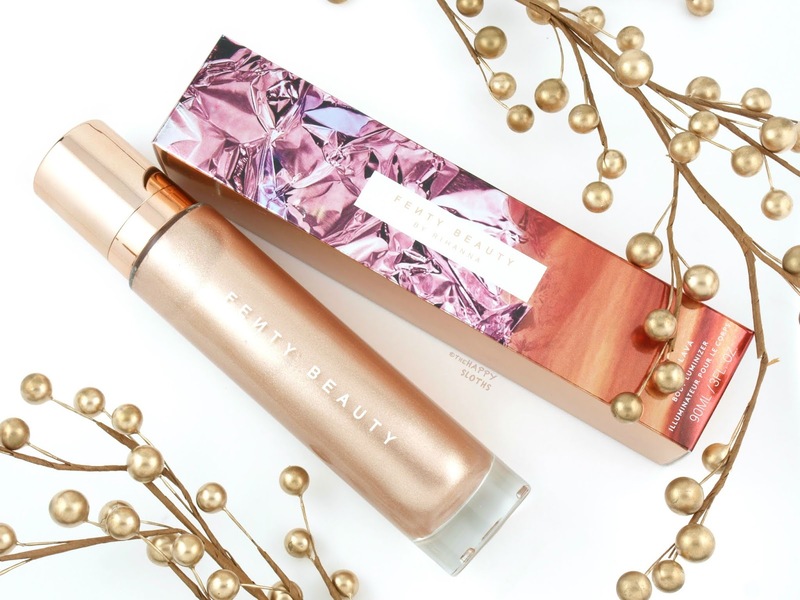 Housed in a hefty glass and rose gold bottle paired with a convenient pump dispenser, the Body Lava Body Luminizer is a gel-based shimmering body highlighter infused with a tropical floral vanilla fragrance. Available in two shades, this product can be applied all over the body for a dewy, sun-kissed glow. I have here the shade "Who Needs Clothes?! ", which consists of gorgeous rose gold and iridescent shimmers suspended in a clear base. The formulation offers a healthy dose of shimmers but the finish is slightly tacky. The main ingredient (hydrogenated polyisobutene) is emollient but it doesn't absorb so the luminizer leaves behind a noticeable residue. It's not a dealbreaker but the sensation can be unpleasant, especially on a hot summer day when you may be sweating quite a bit. With that said, the sticky texture does help the shimmers stay on longer. Ingredients: Hydrogenated Polyisobutene, Isododecane, Ethylene/Propylene/Styrene Copolymer, Silica, Fragrance, Synthetic Fluorphlogopite, Butylene/Ethylene/Styrene Copolymer, Pentaerythrityl Tetra-Di-T-Butyl Hydroxyhydrocinnamate, Tin Oxide, Titanium Dioxide (Ci 77891), Iron Oxides (Ci 77491), Carmine (Ci 75470). 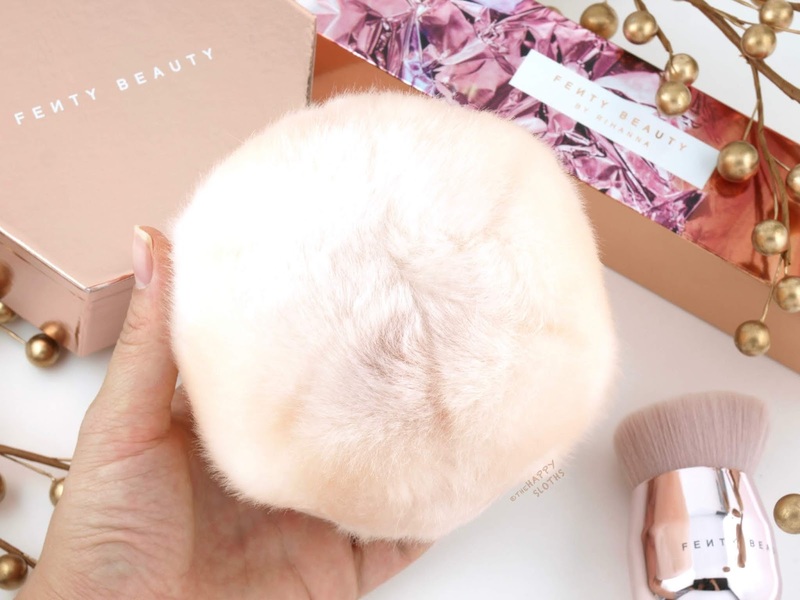 Hands down the most interesting item I've seen so far from Fenty Beauty, the Fairy Bomb Glittering Pom Pom is an oversized powder puff filled with beautiful iridescent rose gold loose shimmers. 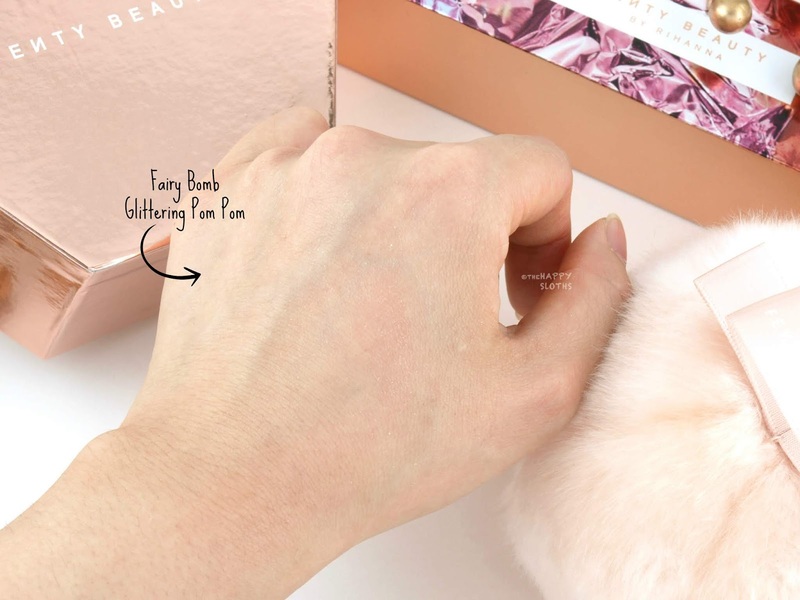 When lightly tapped onto the skin, the Fairy Bomb releases a subtle sprinkling of shimmers, providing an alluring sparkle to the body. The puff itself is decently made but a softer fiber would have provided a more luxurious feel. As compared to the Body Lava, the Fairy Bomb shimmers are a lot more sparse and difficult to capture in photos but the effect is still noticeable (click to enlarge the image below). However, if you are looking for an intense sheen for the neck and decolletage area, you may want to stick to a traditional face highlighter. The powder is scented with a yummy vanilla-coconut fragrance which I prefer a lot more than that of the Body Lava. 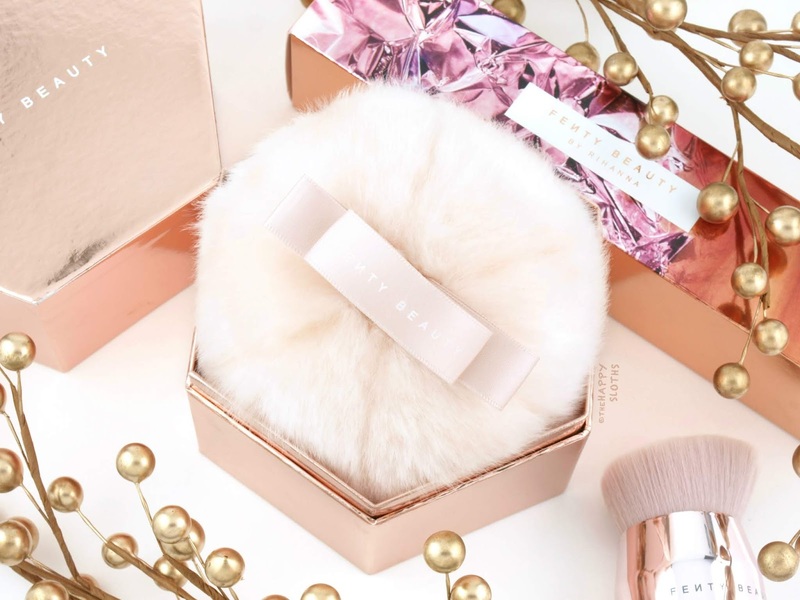 Overall, this is a luxury item designed for those that want to incorporate something "extra" into their beauty routine. Again, the shimmer effect is subtle so it's not for those looking for an intense body highlighter. 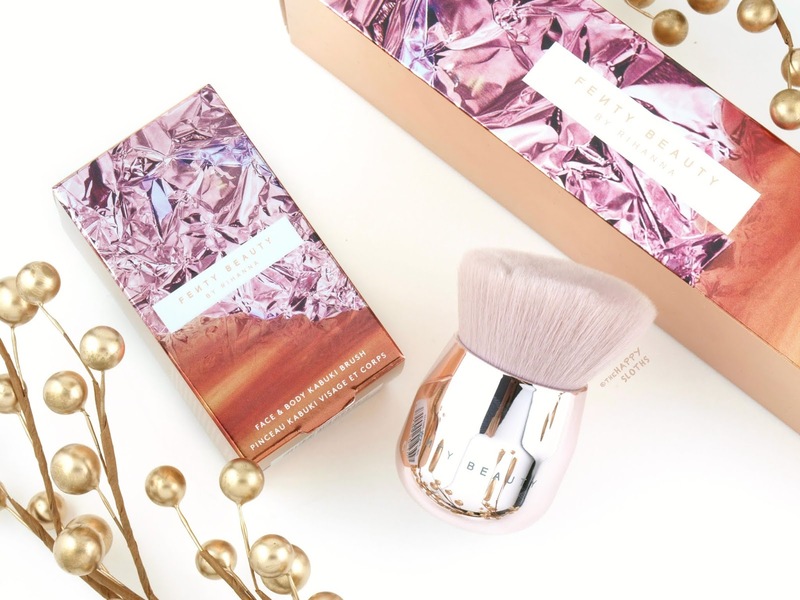 Designed to be used in conjunction with the Body Lava Body Luminizer, this is a beautiful kabuki brush made with 100% cruelty-free, synthetic fibers. Cut on a diagonal to provide the maximal surface area, the brush has a shiny rose gold handle. The bristles are soft and fluffy but the brush is densely packed to ensure an even application. I personally wouldn't pair this with the Body Lava given how vicious and sticky the formulation is but the brush is definitely suitable for powder application (ex. highlighter and bronzer) on the face and body. 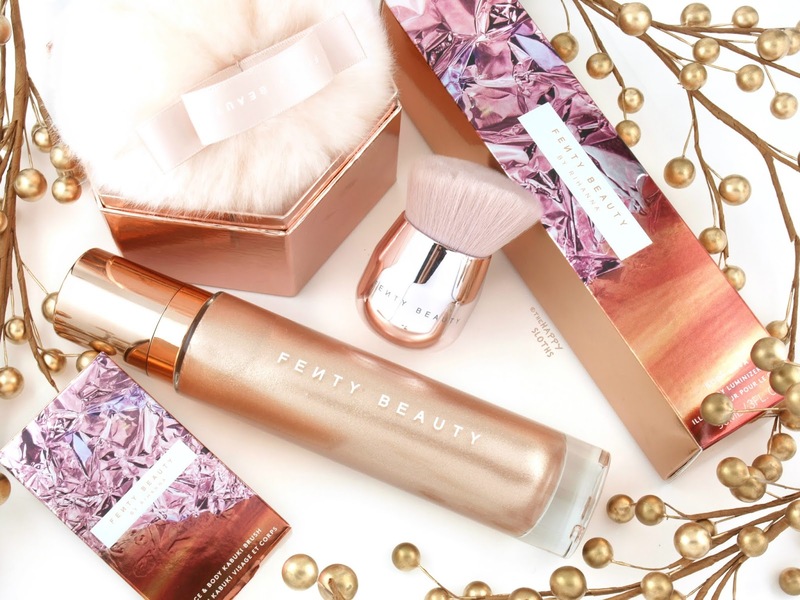 Have you spotted these summer releases from Fenty Beauty? Will you be picking up any of these items? Share with me in the comments below!